Elton John compared this double album to the Beatles' White Album, and why not? By this point he was the most consistent hitmaker since the Fab Four, and soon enough he would be recording with John Lennon. 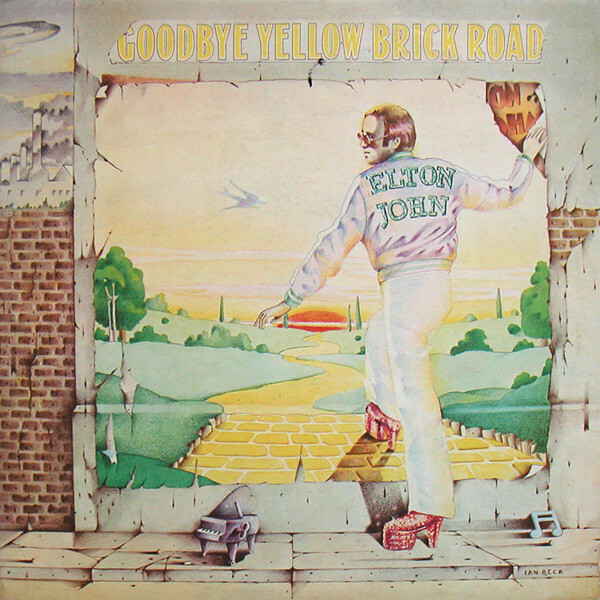 Everything about Goodbye Yellow Brick Road is supersonically huge, from the Wagnerian-operalike combo of "Funeral for a Friend" and "Love Lies Bleeding" to the electric boots and mohair suit of "Bennie and the Jets." "Saturday Night's Alright for Fighting" is strutting rock & roll, "Candle in the Wind" pays tribute to Marilyn Monroe, and the title track harnesses the fantastic imagery of glam to a Gershwin-sweet melody.